Rowan Blanchard, Shay Mitchell, & Chloe X Halle Exchange Secret Santa Gifts With Tiffany & Co! Rowan Blanchard, Shay Mitchell, and Chloe X Halle join forces as Tiffany & Co. Celebrates the Holidays with a Girls Night In! 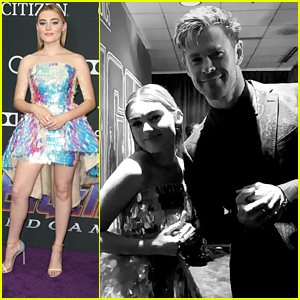 The Girl Meets World star, the Possession of Hannah Grace actress, and the R&B duo stepped out for the event held at Tiffany & Co. on Thursday (November 29) in Beverly Hills, Calif. They were joined by Halima Aden, Sami Miro, Amanda Steele, and Bria Vinaite. After sipping cocktails and enjoying music by DJ Kittens and magic tricks by John Steiner, guests experienced a rare sit-down dinner on the third floor of the brand’s West Coast flagship. The night continued as the girls revealed their Secret Santa identities and exchanged gifts they picked out for one another prior to arriving, including Tiffany & Co. jewelry and pieces from the Home & Accessories collection. To close out the evening, Caroline Vreeland gave an impromptu performance of “Santa Baby” and a song from her upcoming album. FYI: Shay is wearing a Dzojchen dress, Stuart Weitzman boots, and a Tyler Ellis bag. Rowan is wearing Christian Louboutin shoes. Chloe and Halle are wearing Jonathan Simkhai. Chloe is wearing Jimmy Choo shoes. 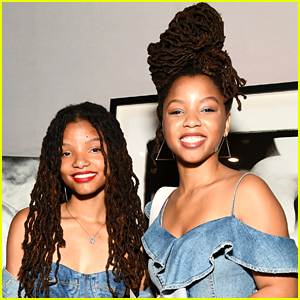 Chloe and Halle Bailey join EP Jenifer Rice-Genzuk Henry at the Grown-ish Brunch event held at Morehouse College over the weekend in Atlanta, Ga. The grown-ish actors and showrunner opened up about what’s ahead on season two of grown-ish, which premieres on January 2nd on Freeform. Another fun thing that the show will tap into is how all the characters think they’re geniuses. Malina Weissman poses with Poppy on the rainbow carpet while arriving at DreamWorks’ Trolls The Experience event in New York City on Wednesday afternoon (November 14). 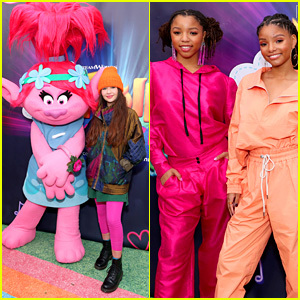 The 15-year-old Series of Unfortunate Events actress was joined by singer and actress sisters Chloe and Halle Bailey at the event, where they chilling out with Branch before heading inside for the fun event. If you missed it, the premiere date for the third and final season of Malina‘s Netflix show, A Series of Unfortunate Events was just announced. 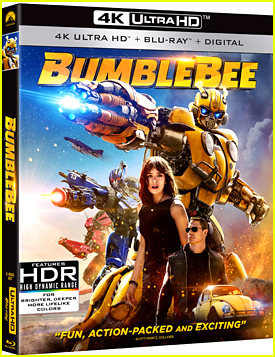 Check out the first pics here! FYI: Halle is wearing a Walk of Shame orange tracksuit. Chloe x Halle take our breath away in sheer looks at the 2018 MTV Video Music Awards held at Radio City Music Hall on Monday (August 20) in New York City. The singing (and acting) sisters walked the pink carpet together in stunning Iris Van Herper gowns. Chloe x Halle are up for two awards tonight – Push Artist of the Year, as well as Best New Artist. Did you vote for them? Make sure to watch the VMAs, airing TONIGHT at 9pm ET/PT on MTV! Chloe X Halle Kick Off 'On The Run II' Tour with Beyonce & Jay-Z! 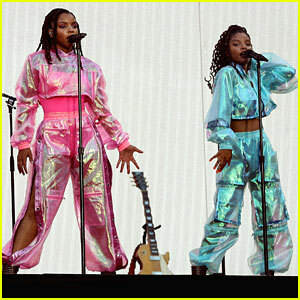 Chloe X Halle hit the stage in iridescent outfits while opening the On The Run II Tour at FirstEnergy Stadium on Wednesday night (July 25) in Cleveland, Ohio. The sister duo are serving as opening acts, alongside DJ Khaled, for Beyonce and Jay-Z. “first show down!!! #otr2 ,” they shared on Instagram. Chloe X Halle are performing songs from their debut album The Kids Are Alright. They will be on the road for the rest of summer and into the fall on the stadium tour. For a full list of tour dates, go to ChloeXHalle.com! 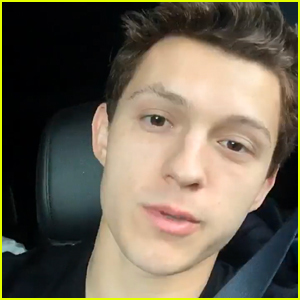 Earlier in the month, the sisters shared a YouTube video from their tour rehearsals. Chloe x Halle will be opening the show for Beyonce and Jay-Z‘s first show in America for their On the Run II tour! Ahead of their performance, the girls shared a video on their YouTube Channel of a behind the scenes look as they prepare to hit the stage for their show. In the video, Chloe x Halle have some fun in the dance studio as they train with their choreographer.